Mraznica (Mrazhnica) were incorporated into Borysław. of this area was occupied by the oil fields. synonymous with unemployment, poverty, and superstition. unpaid debts of the owners, became the legal owner of all these properties. properties not used directly in oil exploration. this hydrocarbon is found in large quantities. companies in candle and soap manufacturing. providing the only paths through the yellow mud. Tustanowice burned for four months. ozokerite industries for their livelihood; however, these workers were treated very harshly. in which they worked were unstable; the machinery which lowered them down, primitive. They had neither safety lamps nor gas masks. Carpathian Mountain chain covered by evergreens on The High Beskyd (Tsukhovyi Dil). Borysław itself is 343 miles above sea level. Numerous mountains streams flow among the rolling hills. The scenery is similar to Vermont in New England. 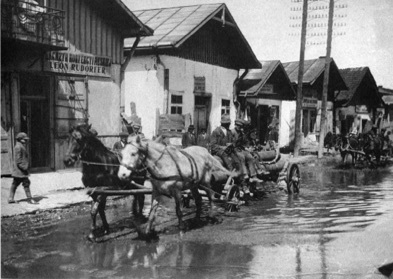 industry, Borysław began to absorb the surrounding villages of Upper and Lower Potok, Upper and Lower Wolanka and Ratoczyn. surrounding villages around Borysław, Drohobych, Stryj and Sambor. production and refining of paraffin and crude oil. Jewish population between the years 1870-1910.
not complete, provides a general guideline. 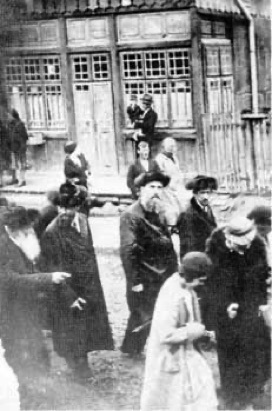 Talmud-Tora school; Right: Srul Lipschütz. emigrated to Argentina and Palestine, and later to North America. 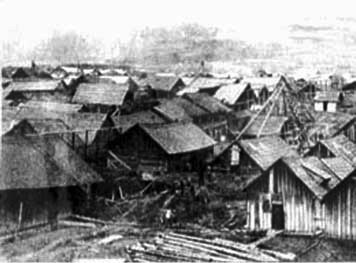 50,000 resided in the town. 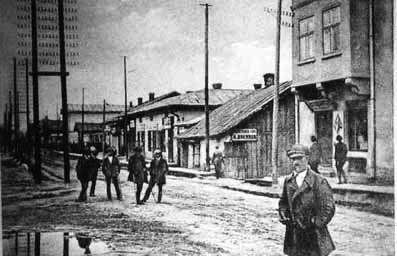 For further information on the history of the Jewish community in Borysław, see the History of Drohobycz and the Second World War.